We have teams of trained and experienced contractors available to assist with your refrigeration needs. We offer air conditioning, ventilation and refrigeration services on a National basis, with contracts and customers based in all the major city centres throughout South Africa. Talk to Refrigeration Experts. Our team of fully accredited experienced engineers are backed by its up-to-date facilities and equipment. This technical expertise is combined with helpful common sense to reach the right, cost effective solution for your business and environment. This approach is supported from the first moment you contact our office. 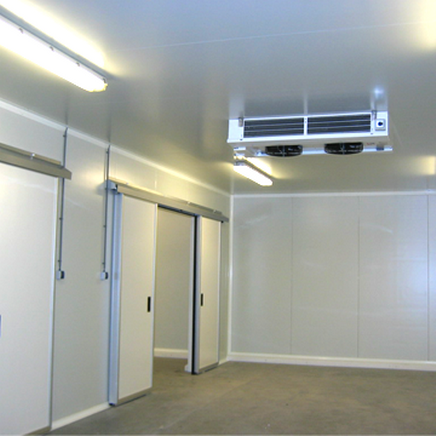 Cold Rooms, Counter Refrigeration & Air Recycling Systems. We have many years of experience in the air conditioning, heating and refrigeration market. 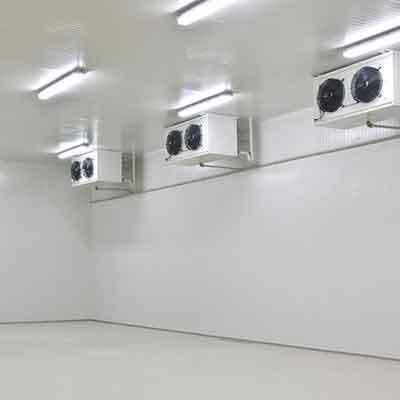 From installation and maintenance of cold rooms and blast freezers, to counter refrigeration units or the installing of internal and external air conditioning and air recycling units, the team’s experience covers all areas. Refrigeration Engineers – Investing In People. The company has always adopted an approach of Investing in People to ensure it stays ahead of regulatory, legal and technical changes within the air conditioning and refrigeration markets. The real difference between us and many other companies is our down to earth approach of investing time listening to your requirements and then using our expertise to give you cost effective solutions, delivered on time to budget. So if you have an air conditioning or refrigeration requirement then give us a call. We supply and install refrigeration to a variety of outlets and cover all types and makes of refrigeration equipment from cold rooms to shop counter displays. Much of our refrigeration service and maintenance work is done on behalf of facilities management companies. We deal with a range of refrigeration requirements for a number of major groups. All statuary testing requirements can be covered as well as the provision of cost effective solutions for the replacement of R22. Reactive and planned maintenance programmes are provided with a Guaranteed 24 hour call out response.